I have recently been in touch with Orkideh Daroodi, a native of Iran who returned home several years ago after attending high school and college in California. Orkideh serves as the gallery manager of the Assar Gallery, one of Tehran's leading galleries in the field of contemporary art. I was surprised to learn -- among other things -- that there are some 150 galleries in Tehran that show the work of living Iranian artists. In my correspondence with her, Orkideh has opened my eyes to the vitality of Iran's contemporary art scene. JS: What can you tell me about the Assar Gallery? How did you become involved with the gallery? 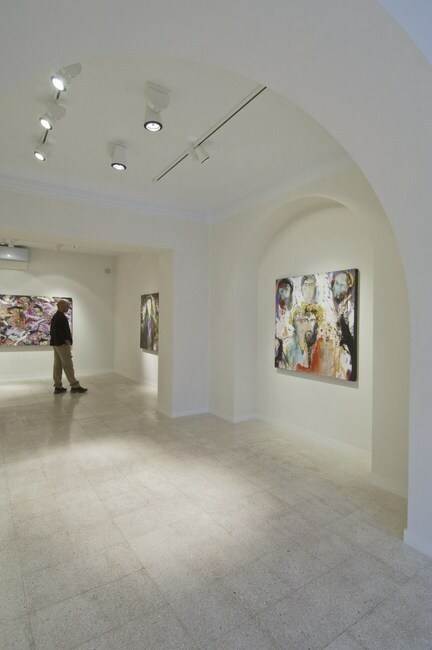 OD: The Assar Gallery first opened in 1999 under the direction of its current owner and director, Omid Tehrani. The gallery's mission has always been to promote the art of Iranian artists through a wide program of national and international exhibitions and fairs, collaborative projects and publications. 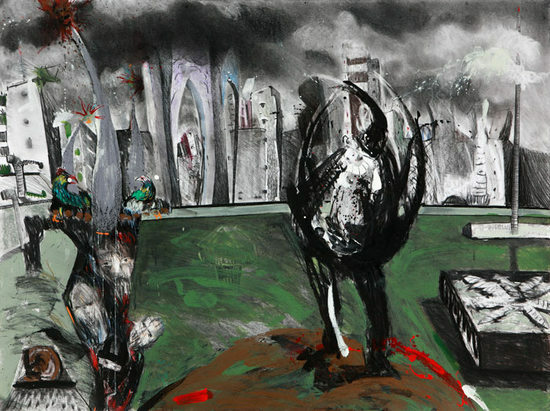 As for me, when I started 3 1/2 years ago, I didn't know anything about contemporary Iranian art. My involvement with the gallery sort of just happened, at first as an assistant, then as the auctions coordinator and now as the gallery manager. So it's been a journey, a learning experience in fact and there have been plenty of hills to climb but I was hooked the moment I found myself inside the gallery space on the day of the set up of an exhibition. The simple idea that you are entrusted with somebody's creation: that you are to install, show and sell works of art. Well, I decided to make this my profession in hopes that one day I would open my own gallery (fingers crossed!). It's just a very evolving profession and there are many intriguing factors: everything that goes on even before a show, in terms of studio visits, talks, advertisements, press, cataloging etc., are all truly fascinating. I didn't study art in university but with my BA degree from UC Davis' Department of Letters and Arts, I feel that I was always somehow connected and now appreciate my background in literature. JS: Are there many art galleries in Tehran? OD: I think you'd be surprised to know that there are many, many galleries in Iran, though mostly concentrated in the capital, Tehran. There are about 150 licensed art galleries in Tehran alone and of those 30 are very active in finding new talents and holding regular exhibitions of contemporary Iranian art. Of those, I would say there are ten that are considered to be the most professional on an international scale. To name them: Assar, Aaran, Etemad, Khak, Shirin, Tarahan-e Azad, Mah, Mohsen, Silk Road and Seyhoun galleries which can each be accessed over their websites for more information regarding the kind of art and the artists that each represent. JS: I notice that you attend art fairs in Istanbul and Dubai. At those fairs, are you finding that there is international interest in the artists that you represent? OD: We've attended Paris Photo, Art Dubai, Contemporary Istanbul and Art Moscow. The reception by the international audience has always been very positive and welcoming. Honestly, people are in awe of what they see. The exotic factor that we are from Iran of course adds to it, but overall we've been able to establish great connections and have been successful in placing works by our artists in prominent international collections. What’s noteworthy is that collectors are becoming more and more international and more interested in the art of Iran especially. Because of its standing, it’s attracting more and more attention each year and also its growth in the market has been extraordinary. So whereas before where we only sold to Iranian and regional collectors, these days we are seeing more and more international collectors. So far, we've mainly focused on regional art fairs but we think that it's time to try for an even wider audience through European fairs. Maryam Majd, who is in charge of our international affairs, is considering Frieze and Art Basel for the near future. JS: What are some of the most prominent themes that your artists address in their work? OD: Currently, we are representing twelve artists: nine painters, one sculptor, one sculptor/painter and one photographer. And they address a varied series of subjects in their works. They are twelve individuals with twelve very different creative minds so I can't really categorize them. JS: Can you single out an artist whose work you feel is particularly outstanding and tell me a bit more about his work? OD: Well there are two: Babak Roshaninejad and Alireza Adambakan are two of my favorite artists. 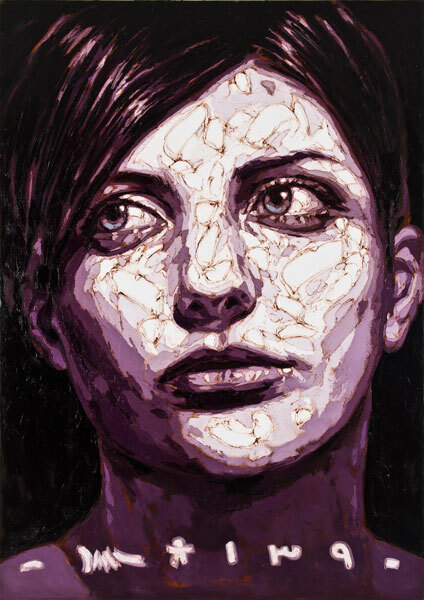 Babak's large-scale oil paintings of portraits, newspaper headlines, barcodes, tanks and bulldozers, tractors and cars are representative of his unique painterly skills. The texture and compositing that he creates by applying thick and dense amounts of oil paint create a visual quality that goes beyond the subjects he chooses. 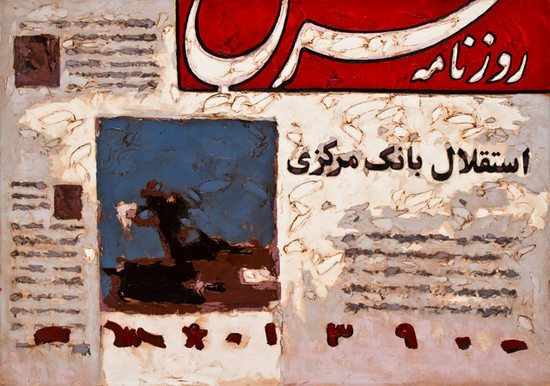 And as for Alireza, his painting is much more personal. 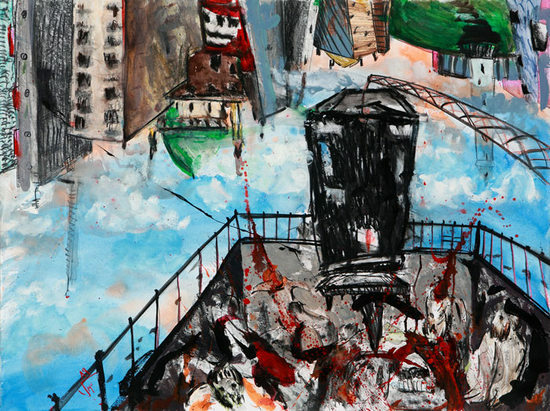 Working on different series, ranging from large-scale figurative to medium-scale urban and cityscapes, he uses a bold, intense and varied palette to express his critical attitude of the clash between tradition and modernity. JS: What are you hopes and dreams for Iran's artists? OD: For Iranian artists to be able to compete on a larger international scale and stand alongside artists from Europe and America. For more critics, collectors, curators and all involved in the art world to further welcome and recognize their work. And for them to create the kind of art that involves you; stops you and changes you; you and the world perhaps. To quote Jeremy Deller "Art isn't about what you make but what you make happen." So, I hope for Iranian artists to make a lot of things happen! JS: Who are some of the artists out of Iran that you admire? OD: There are some Iranian artists who reside abroad and are doing absolutely amazing works but to embrace some non-Iranian artists: Ai Weiwei is somebody whose work I follow pretty closely. My first encounter with his work was his Sunflower Seeds at the Tate Modern's Turbine Hall and I've been following his work ever since. Anish Kapoor is a favorite among all of us at the gallery. And from an older generation, Louise Bourgeois was an extraordinary artist and I respect her work very much. Last but not least, John Wesley, whose work I like because of its cartoon-like and flat quality, has always been a personal favorite. JS: Please mention anything else about your gallery and/or artists that you would like my readers to know. OD: First and foremost, I'd like to mention that Tehran's art scene is a lot different from what might normally be portrayed in the mass media. And I believe that Assar has especially been able to transform the concept of an art gallery in Iran. 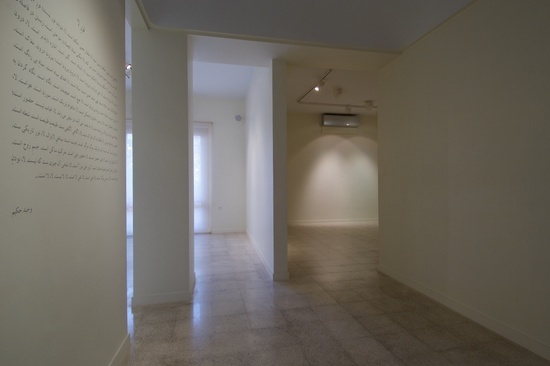 Basic principles such as representing a set of fixed artists, establishing a professional artist-gallery relationship, promotion of contemporary art through publications and participation in international art fairs all started at Assar Gallery and was fortunately followed by other galleries. Also, I am excited to tell you that there is going to be a really great show of Iranian art, organized by Asia Society, in New York in September.